We wouldn’t be where we are today without teachers! 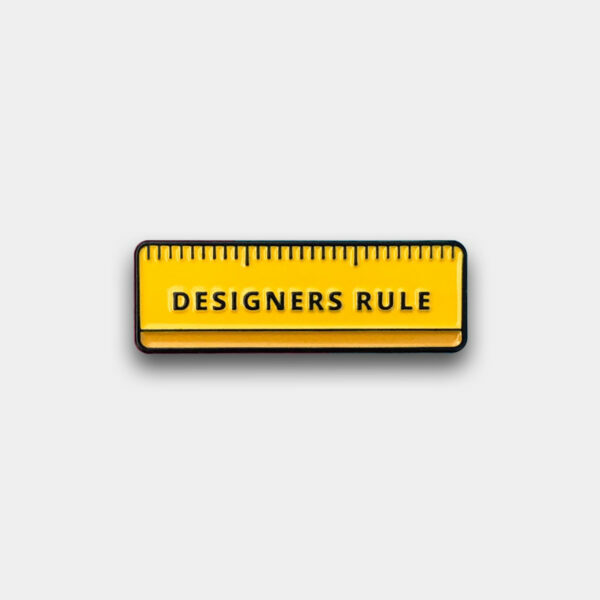 This pin is a followup to the original ‘Designers Rule’. 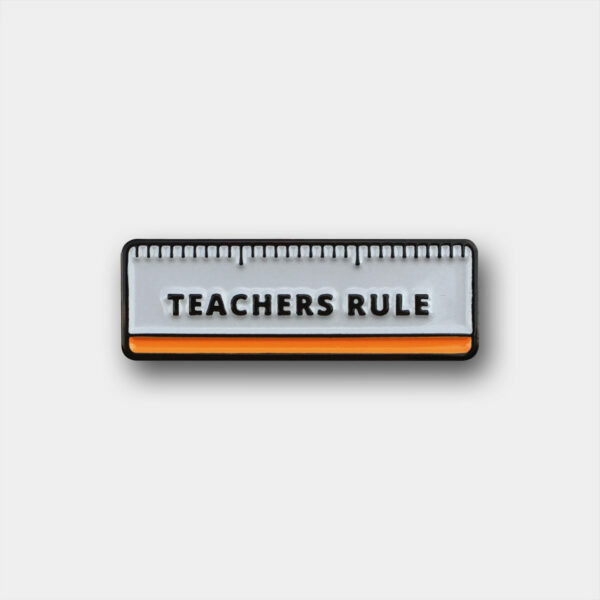 If you’re a teacher or you’re looking for the perfect gift for one, then this ‘Teachers Rule’ enamel pin is for you! 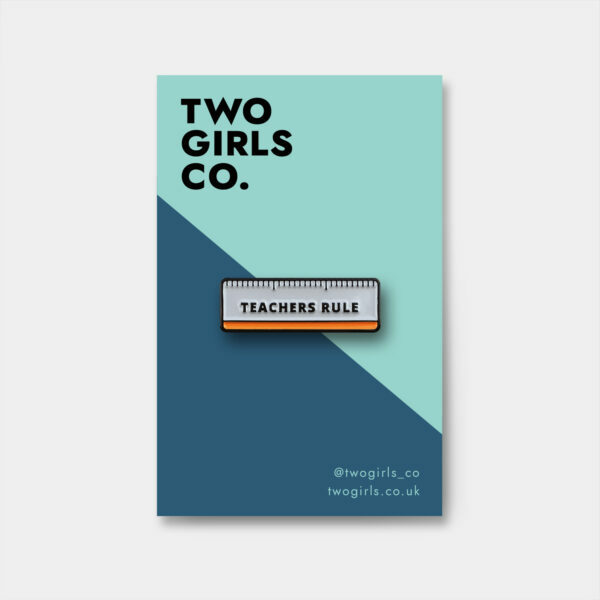 Never get caught short without a ruler again – this pin is to scale, making it handy for those situations where every ‘mm’ matters! Not only that but it lets everyone know that you ‘rule’ in every sense of the word. 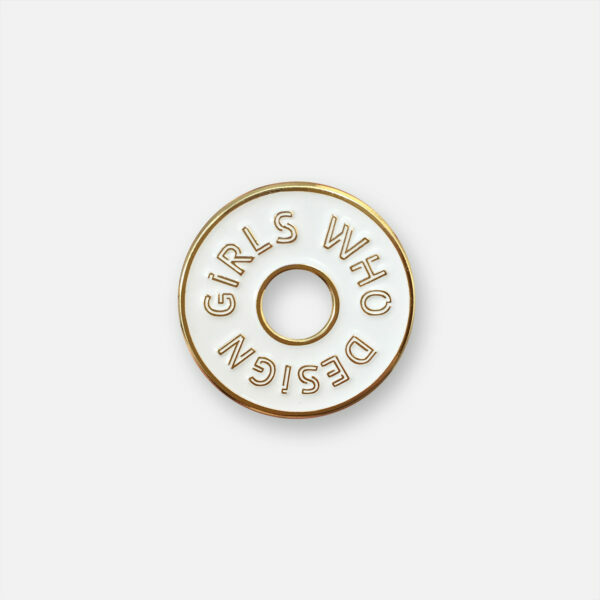 Go you! Soft enamel plated nickel with black dye trim and black rubber clasp. 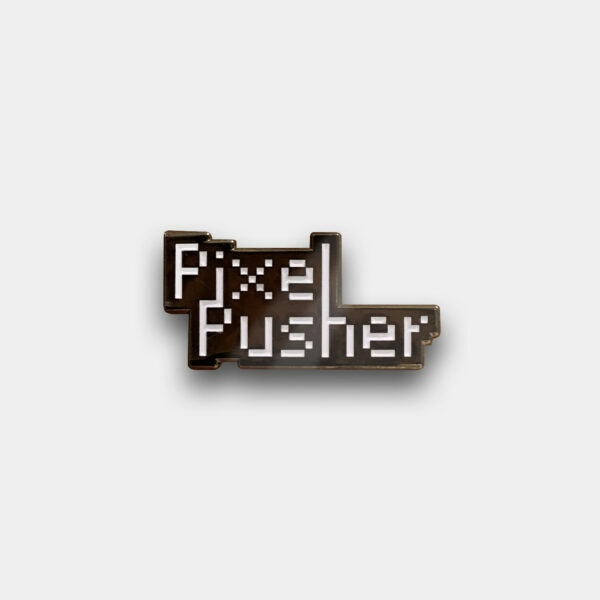 If you would like to bulk buy, please email us and we can offer special discounts! Soft enamel, plated nickel with black dye trim and black rubber clasp.